NGO Coordination Committee for Sitakund Upazila was formed during the NGO coordination meeting held on 29 February 2026 at Sitakund Upazila Office. Mr. Nazmul Islam Bhuyan, UNO of Sitakund presided over the meeting. Mr. Shah Sultan Shamim, Station Manager of Radio Sagor Giri FM 99.2 (YPSA led community radio) was elected as President; Mr. Shapan Kumar Bishwas from BRAC as Co-president; Mr. SM Azmal Hosen Hiru from MANISHA as General Secretary; Mr. Md. 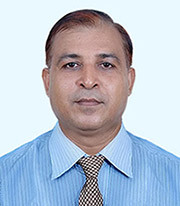 Suman Hossain from KODEC as Co-General Secretary and Mr. Md. Shahadat Hosen from SDI as Publicity and Publications.